Building a new site from Scratch? 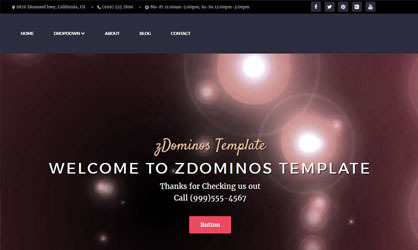 Choose one of our amazing templates below to help you get started. These Templates have been optimized specifically for Durable CMS and include mobile responsiveness. 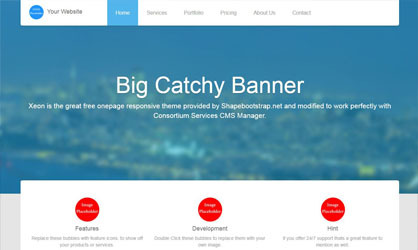 Beautiful blue theme with a large banner. It is a single page template that can be altered to multiple pages. Also, features a pre-built contact form. Multiple page template featuring a drop-down navigation bar and a features section with floating descriptions. A well organized multi-page template with a large banner and title. The template also features pages with sidebars and a staff area. Modern design that beautifully displays large images as links to other pages and or catagories you may create. A single page design with separate contact page. Beautiful and well organized design complete with a testimonial section. An elegant multi-page design, complete with scrolling feature boxes, and a thoughtfully layed out product page. 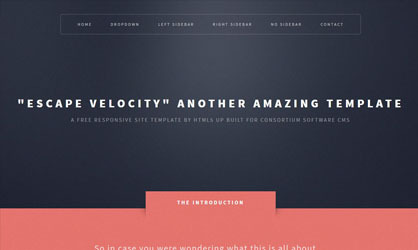 A multi-page design complete with a low impact navigation bar. Also included is several elements for creating galleries and tables. A very clean and smooth design with a fading banner and elemental tools to build your website. Also included is font-awesome icons. A wonderful design that will inspire artists, and entrepreneurs, to display their products and services on this rich canvas.